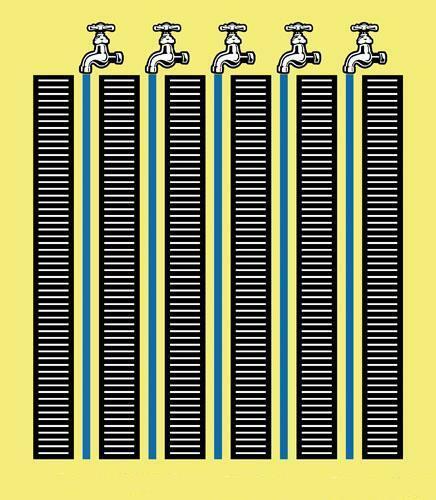 This optical illusion image is a row of open taps with blue water flowing down from each one of them. When you look at this picture can you see the blue water lines twist up and down as if they are flowing? What. I can't see it.